Hello there and happy Friday Eve! I'm on the road again this week and I can't wait for the weekend. There's just something nice about sleeping in your own bed. I digress. In other news, it looks like we are gearing up for another Polar Vortex and all this winter weather has my wardrobe on repeat. Sometimes it's hard to feel cute when you're all bundled up. Are ya with me? 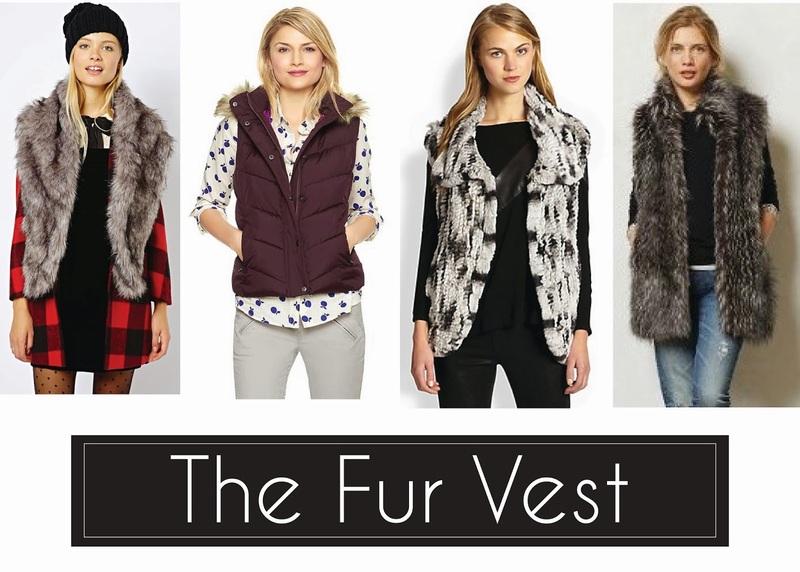 What are your thoughts on the fur vest? Is it a staple in your closet? Have a warm Thursday! I need a fur vest pronto! One of my co-workers had one on yesterday, and this post made me want one even more. Gotta keep on the look-out!